Nowadays, lifestyle of children is different from the previous generations: children eat a lot of fat, foods with a lot of sugar, and they don’t spend much time on physical activities. These things make the rate of obese children increase more and more. Parents have big responsibility in educating their children about good health habits, values as well as their behaviors in life. However, developing healthy eating and drinking habit and practicing physical activities are things that need a lot of time to solve. According to many researches, diet with balance plays an important part in developing mentality as well as physicality. You should discuss about things that children can choose for their portion. Your children must understand that choices about food will affect their health directly. Parents have responsibility to teach their children to know how to give the wisest decisions. Therefore, you should encourage children to avoid foods that are rich of calories that are advertised attractively on TV. Children often learn things that are taking place from life around them and parents are also their teachers. You need to remember that action is always more effective than words. 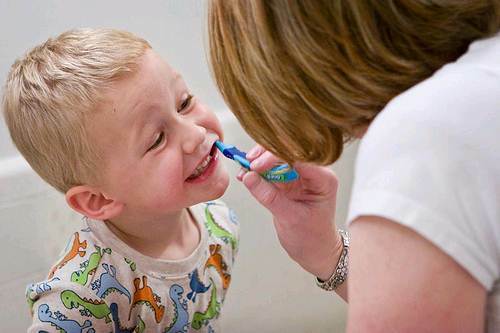 As parents, you should pay attention to habit about clean personal hygiene and standard behaviors to help children learn and follow. Every day, your family needs to have at least one meal that has all of the members in family. This thing brings you chance to act as a model for children in eating and drinking and it also helps children have positive attitude in choosing food. According to the result of researches, if children eat and drink with their family regularly, they will get higher studying result at school. You should have meals in dining room or kitchen, avoid sitting in front of TV. This is golden principle for family's meal. Every day, your family needs to have at least one meal that has all of the members in family. 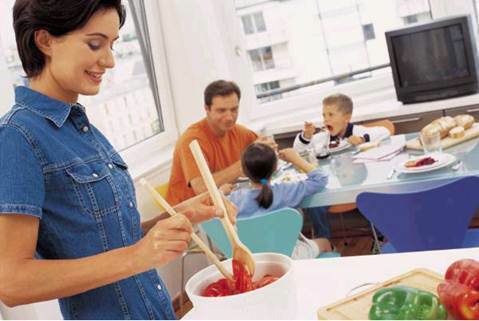 Allowing children to attend cooking is a good way to change their choosy eating and drinking habit. You have many ways to give children chance to attend some small things in house such as playing with children outside, taking them to go shopping, allowing children to cook their favorite dish and helping you some things in the kitchen. You can let children to attend shopping and preparing meals that can help children have a lot of useful knowledge. As a result, they will have healthy and useful choices for health when they go out to eat. If your children spend much time to play games and they don’t like physical training activities, you need to explain for them that physical activities will help body become healthy and have a lot of energy. You should try to design activities about sport as daily habit of the whole family. Walking, riding bicycle… are appropriate activities to family. You should limit children about the time for using computer, watching TV, playing games with maximum time 2 hours/day. For children from 2 years old to over, you should encourage them to attend activities with reasonable level and at least 30 minutes/day. Teaching children about how to prevent bacteria is important thing. You should create simple daily habit for children including activities about personal hygiene such as brushing teeth, washing hand, using toilet, bathing… Together with hygiene of body, children also need study about conserving clothes cleanly and tidily. Drinks that have sugar such as soft drink, fruit juices that contain pigment and sweetener as well as foods that contain a lot of sugar (cake, candy) provide a lot of calories and don’t bring any nutritious values. Therefore, controlling to help children not use a lot of harmful drinks and foods is problem that many parents must pay attention to. Instead of it, you should let children drink a lot of water or milk. You must be determined in cases that children have sign about using harmful things or bad habits, for example, smoking cigarettes, drinking wine…. In these cases, you shouldn’t make concessions with your children. You should explain to help children understand about mechanism of making harmfulness of these dangerous things and encourage them to give their wonderment to solve problem absolutely. In the case that children break rules that are discussed before, you need to have method to punish appropriately. When children have good actions or they give up bad habits, you can consider giving them reward. These are funny sport activities such as playing bowling or watching film that they wish… However, you shouldn’t use food as award for children. You need to make children understand that they are awarded because of attempts and achievements that they have, not ability in completing their duty.